This commissioned necklace contains the cremation ashes of a friends great grandmother, where I have encased them inside glass. The large lentil focal bead has cremains ashes which appear magnified under the bubble. 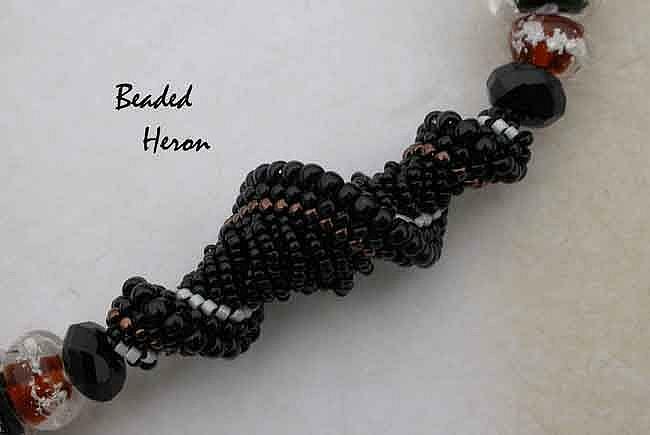 The black and topaz spacers contain encased cremains ashes in a bead style I call window, where the ashes are visible under clear glass. 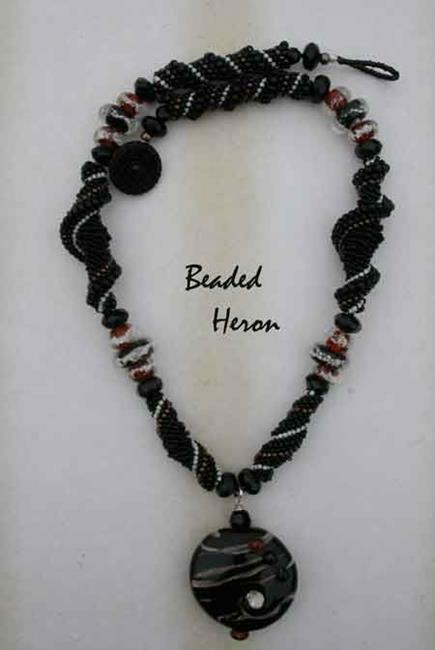 A combination of three different styles of matching beaded beads were added to showcase Grandma, and a vintage glass button closure was used. 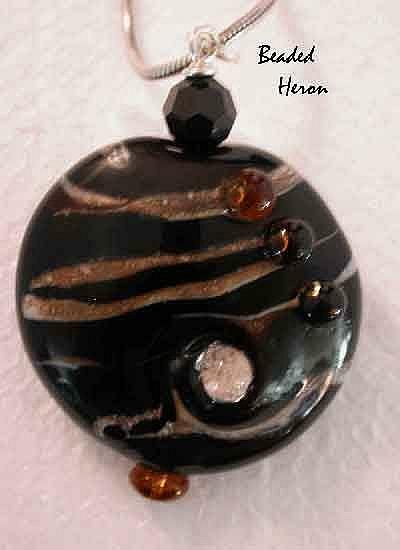 I will work closely with you to create your own one of a kind memorial jewelry piece or glass pendant, communicating with you every step of the way to ensure I do my best to accomplish the design that you envision.